Black mold exposure can result in a wide range of health effects, ranging from minor allergic reactions and cold-like symptoms to more serious conditions like chronic obstructive pulmonary disease (asthma). 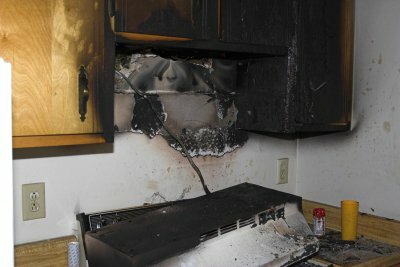 In some cases, prolonged exposure to black mold can also result in chronic headaches, memory loss, and dizziness. Watch this video to learn more about the dangers and symptoms associated with black mold exposure. If you are concerned about the presence of black mold in your home or business, contact a mold remediation company in Long Island to schedule a mold inspection . If black mold is identified, the remediators will remove the hazard and take steps to address the source of the problem in order to prevent future mold growth. Schedule a mold inspection if you or anyone in your home or business is experiencing any of the mold symptoms discussed in this video. Unless your home sits at the highest point on a mountain or hill, you should be very concerned about flooding. However, it’s not just natural disasters and rising water levels you need to worry about; flooding can also occur in the wake of a major plumbing emergency such as a burst pipe. Considering the devastating consequences of household flooding, it is most certainly in your best interest to take proactive steps to prevent flooding in the first place. The following measures will offer some protection against flooding, but it may be impossible in all cases to prevent water damage. Fortunately, there are water damage restoration companies in Long Island that can restore your home following a natural disaster or plumbing emergency. A sump pump is the last line of flood defense in your home. In the event of a power outage during a storm, the last thing you want to worry about is whether or not your sump pump is working. 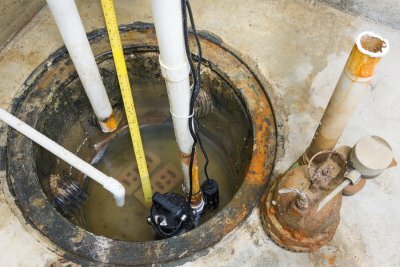 For added protection and greater peace of mind, install a battery-operated backup sump pump that will automatically start up when the pit fills with water. Even if the other pump doesn’t go out, this second backup pump will provide double the protection in the event of serious basement flooding. No one likes cleaning out the gutters, but it’s an important and relatively easy home maintenance task that could end up saving you lots of trouble in the future. You see, when gutters and downspouts are clogged with leaves and other debris, the water that collects from the roof will start to pool and either slosh out over the edge around your home’s foundation or trickle in from the ceiling through weak points on the roof. Either one of these scenarios can cause water damage, so be sure to stay on top of gutter maintenance this storm season. 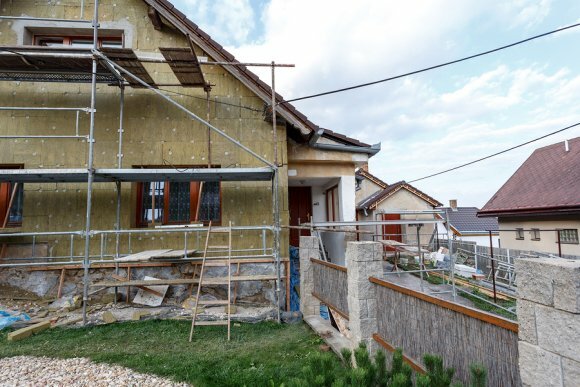 “Waterproofing” is a broad term that encompasses a variety of different techniques aimed at preventing water from entering your home or business. There are waterproofing companies in Long Island that can effectively seal your foundation, basement, or crawlspace to prevent flooding and the resulting water damage. Additional backup measures are also put in place to remove water in the event of a breach.